I was lucky enough to not only attend the ISTE edtech conference for the first time, but also man a booth. If you weren’t there, but want to know how an edtech startup can rock it, I’ve summed up some quick points. In general, ISTE attendees arrive in high spirits. There are great vibes all around and it’s clear to see (both offline and online) that the edtech community is close knit. This is good, because it means people can move past the awkward small talk and get to the real meat of the challenges and solutions facing technology in education. *Me at the Airtame booth, ISTE 2016*Everyone at ISTE is friendly and the passion for edtech is contagious. 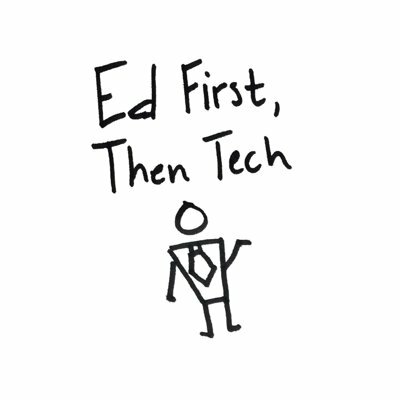 I wanted to take my learnings from the show and write a few tips for other edtech startups who are having trouble breaking the ice at ISTE and at edtech conferences in general. 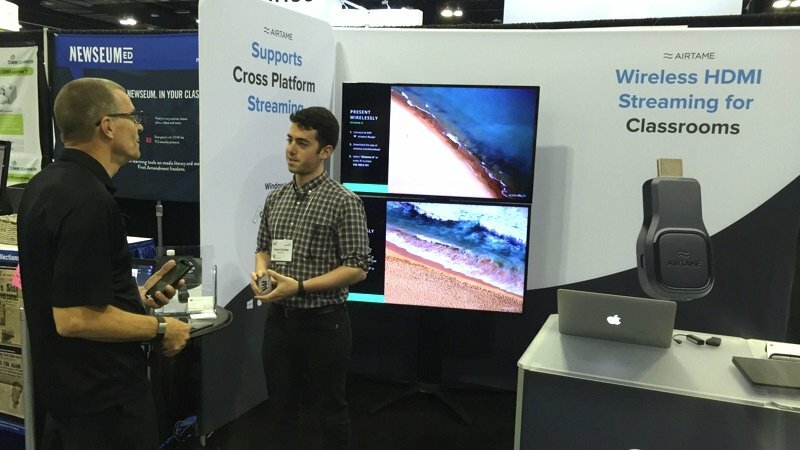 By the end of this post, you’ll feel prepared enough to rock the next ISTE conference. 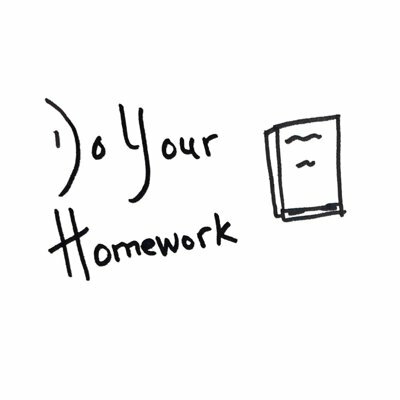 The most important advice I can give for newbie edtechers is to check your priorities. Educational technology is always going to value solid products that put teachers and students first, before hyped technologies. If you are attending ISTE as a new edtech startup, come prepared with a strategy that shows educators they’re not just part of a strategy, but that they are the strategy.
? Does your product solve a real problem? There’s an increased access to tools for educators. But at this point there’s so many tools, it’s more important than ever to know exactly what pains your edtech product eases. Educators just wanna have fun. They’re at the conference to meet up with their friends and listen to some inspirational talks. And yeah, they’re also there to check out the latest in edtech, but they don’t want it shoved down their throats. Rather than being overzealous in your pitch, make it about the educator. Dress your booth up with some eye-catching visuals and when they stop by to talk, keep it down-to-earth. Talk about things that interest them. You’d be surprised how much you can learn about your product’s value, just by offering an open ear. My biggest regret about ISTE 2016 was not putting in more time to join the conversation on tech in education. Edtech has an amazing online community. 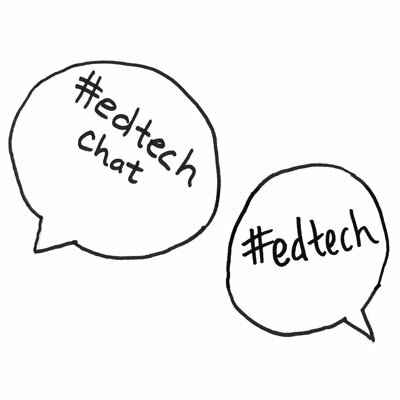 Just take a look at the #edtech and #edtechchat tags on Twitter. And if you’re a newcomer, it’s really a better way of familiarizing yourself with who’s who in education and technology, than a 3-day conference. But don’t just lurk around the Twitter tags. Start reading, reflecting, commenting, and talking with educators. And of course, always respect that they have been in the trenches of education. This goes in line with the previous point, but really do your homework on education, the area your tech focuses on, and thoughts and politics that affect education. If you’re not sure how and where to start, this handy list of Top 200 Influencers and Brands in edtech is perfect for you. If you go in with only shallow knowledge of your industry, it’s going to show in a conversation longer than 5 minutes. If you go in with only shallow knowledge of your industry, it’s going to show. You know your product and its technology inside and out, educators don’t. It’s easy to let the curse of knowledge blind you. Always keep in mind that it’s your job to make sure your audience understands what your product is and how it works. Take a leaf out of the educator’s notebook and figure out the best teaching methods to use when telling people about your product. For example, I like to lead with a storytelling method that illustrates the problems my startup’s wireless HDMI device solves. I like to close a “lesson” with some hands on learning whenever possible, because a live demo is worth a thousand Powerpoint slides.